I asked God to give me a focus for the year, for both family and work. 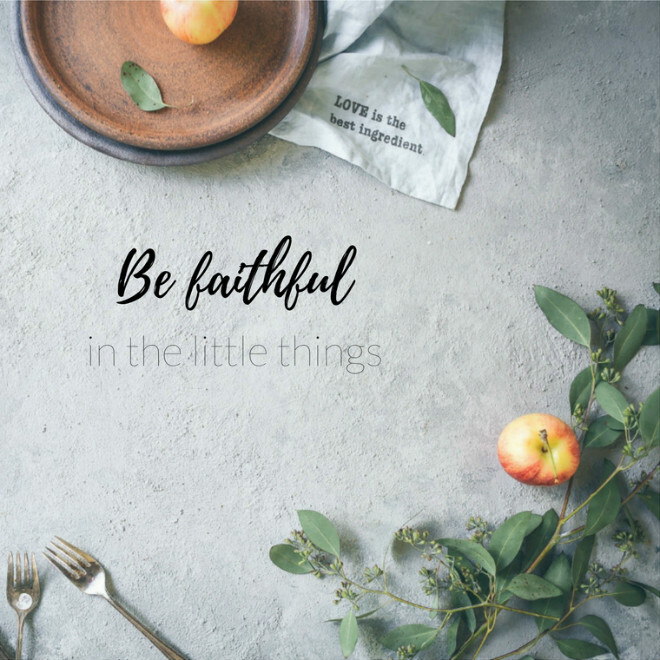 The phrase “be faithful in the little things” popped into mind and lingered. Everywhere around us, most people are rushing to achieve the bigger and the better. There’s nothing wrong with having big dreams and ambitions, but don’t overlook the small, daily habits that may help us live a more meaningful life in the long run. So I thought about the specific ways I want to be faithful in the small. Training the kids to say their please and thank you’s. Teaching them to say grace before meals. Teaching them to show appreciation to those who serve and help us. Giving them opportunities to give to others. Teaching them to consume less and make the most of what we already have. To be thankful for even the smallest projects or jobs I secure, and to do them wholeheartedly. To marvel at God’s tender love and mercies that show up in mundane everyday things, in the coffee I drink, the air I breathe, and the clothes I wear. What are the things you’d like to be faithful in this year? An inspiring approach. Thank you.